Anais grew up by the sea in France, in a family of travelers who gave her and her siblings and a hunger for traveling and discovering different cultures. Before reaching the age of traveling on her own, an amazing thing happened when she was 14: Home Wifi! She started blogging at the same time and never let go of the magic of the Internet. At 21, with a degree in Communication and Marketing in her pocket, she packed her stuff and moved on the other side of the sea she grew up by: in England, London, which was (for her) closer than Paris! She worked for three years in London in Online Marketing and created a fashion and travel blog (for her own personal fun) which got successful thanks to the passion for blogging she developed as a teenager. After 3 humid winters in London, she decided to move for another challenge: Berlin, Germany. 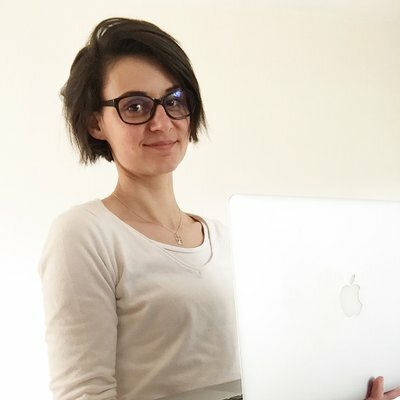 But soon, she realized she wanted to learn more about digital, so she said “Auf Wiedersehen” to those amazing years in Berlin and moved back to France to complete a Master in Web development. A couple of years later, her love for traveling and experiences abroad led her to Canada, Toronto and to the CSI Tech team where she can share her years of experience in digital and content sites.